After selling out the Piping Hot Chicken Shop and Burger Grill in February, folk-roots-rocker Carus Thompson is back at one of his favourite venues in the world for a special show on grand final eve – Friday 29 September – with very special guest Loren. Originally making his name as part of the explosion of the roots movement alongside good friends The John Butler Trio, The Waifs, Xavier Rudd and Pete Murray, troubadour Carus Thompson has shown he’s much more than just a “good time – reggae folk-rocker” – he’s now also acknowledged as an incredibly accomplished songwriter and storyteller. He’s also toured with Jack Johnson, Dave Mathews, Damien Rice and wowed at all the major festivals. 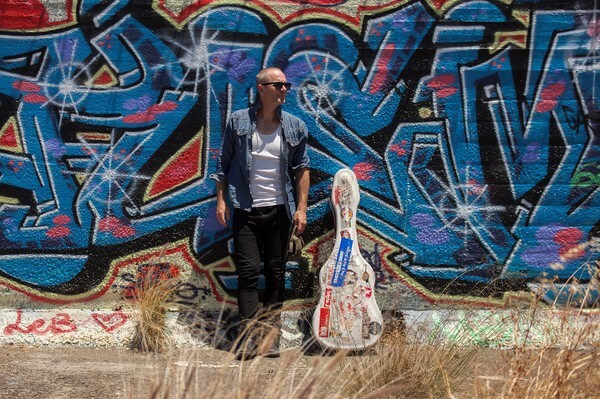 Worldwide, Carus Thompson has sold over 30,000 albums independently, one of the few truly independent Australian troubadours to have a carved a full-time living from his craft, years of touring have assured Thompson the enviable ability to draw hundreds of people anywhere he goes. His new album, the eagerly awaited Island is Thompson’s first record in over five years and it has been incredibly well received by critics and fans alike, receiving daily rotation on Double J, as well as being play listed on all Local ABC Stations nationwide. For this very special show Thompson re-unites for a double bill with his old touring buddy Loren. Loren will play a set of his own to open and then join Thompson on stage, where something special always happens. Like the February appearance, this show is sure to sell out, so grab presale tickets from the venue or via www.carusthompson.com.